TrasguGest Evol allows you to store, organize and plot the evolution of one or more numerical parameters, expressed in all kinds of measurement units and in a customized way. At all times it will adapt to your present or future needs, since it allows you to modify in real time the number of fields to be displayed, measurement units you want to work with (performing automatically the conversion of already stored measurements) and graphics format. You can locate any measurement through its unique tracking identifier or also search measurements by date or by item. 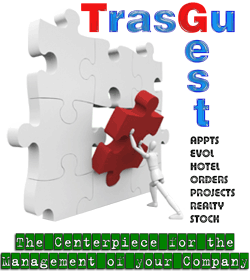 TrasguGest Evol is constantly reviewed and updated. We are grateful in advance for any question, comment or suggestion you may wish to make.